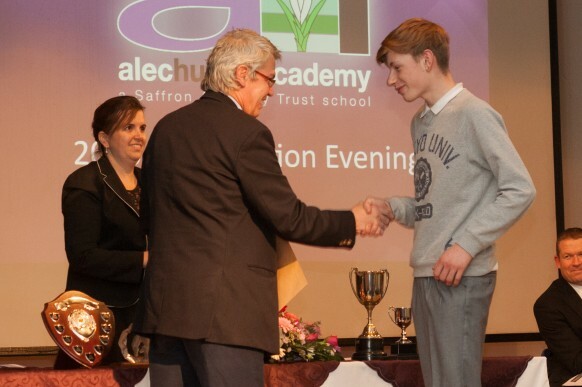 On November 20th, we were delighted to welcome back the Class of 2013 to celebrate their time spent at Alec Hunter and their exam successes. The evening was hugely enjoyable with students, parents, staff, governors and sponsors joining together to applaud the outstanding achievements of our young people. GCSE exam certificates were distributed and subject-specific awards were presented to those students nominated by staff for achievement in, or notable contribution to, their subject areas.